Our 24 hour distress lines are often the first step in reaching out for help. Click here to contact us. The duration of a stay at the shelter is assessed on an individual basis with housing and other factors being considered. Typically, this would include a situation where a family has not been able to find an adequate, affordable place to live or if the family’s safety continues to be a concern. Click here for more. Cooperative living is part of our overall attempt to make our shelters as homelike as possible for the women and children. Women share in chores such as cooking and light cleaning duties; living and working together while forming an important support group for each other. Programming is an important part of our services and while some programs/groups are offered to the residents on a voluntary basis, other groups are mandatory. Click here for more. *Within the St. John’s, Mount Pearl, and Carbonear areas operated by Iris Kirby House. Closely following immediate physical safety are the issues of income and safe, affordable housing. Some clients have the financial resources to secure their own housing needs, however, the majority of our clients do require assistance. Advocating on their behalf is an important part of the work we do with families. 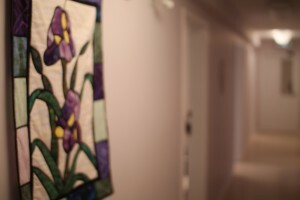 Iris Kirby House is government funded for daily operations and shelter maintenance, while making use of generous donations to provide comforts and additional supports to the residents and former residents of the shelters. Click here to support us. Click here to learn more about the lives of two extraordinary women, Iris Kirby and Sister O’Shaughnessy. Shelter staff are available 24 hours per day, year round, to respond to calls from individuals seeking information, support or shelter. If you or someone you know is being abused please call us.